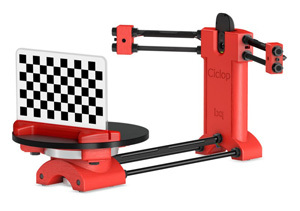 Ciclop is a DIY 3D scanner kit. 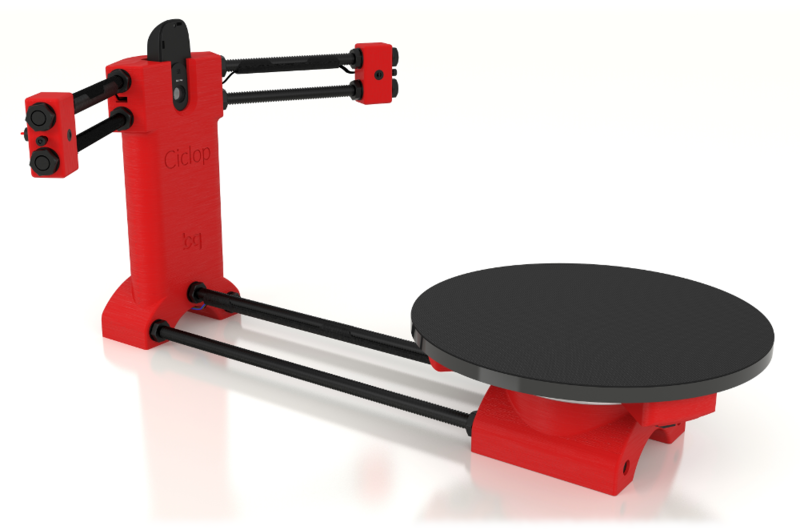 This project has been developed under the RepRap1 community philosophy: machines that can be made using 3D printers. For this reason, most of the pieces included in the structure are 3D-printable and many of the vitamins are shared with other open designs such as the Prusa i3 Hephestos2. 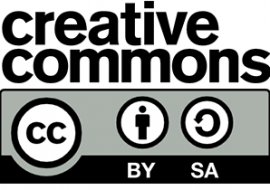 The design is published on GitHub, released under Creative Commons Atribution Share-Alike licence (CC-BY-SA). This licence allows users to have full access to any information about how the products is made and to study, modify or distribute it, including for commercial purposes. In summary, products under CC-BY-SA licence become part of the Technological Heritage. 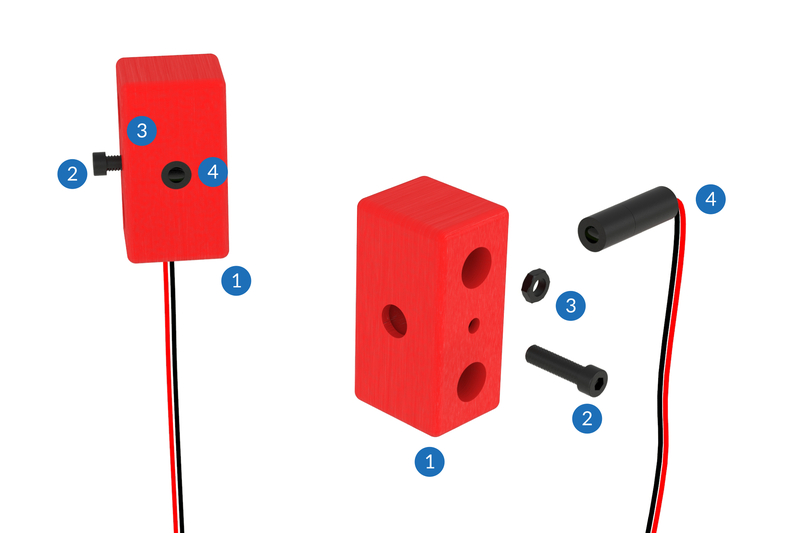 2 Motor holder 1 Printable part that joins the stepper to the bearing. The stepper is held in place with M3 screws, while the bearing is pressed into place. 3 M3 x 10 mm Allen bolt 5 Four are used to fasten the stepper to its support and another to attach the stepper axis to the axis coupling. 5 Shaft coupling 1 Printable part that transmits the movement of the stepper to the disc. It is joined to the axis with a nut and an M3 bolt. 1 Camera holder 1 Printable part with a hole on the top side for the camera. The electronics are housed in the interior of this part. 2 USB wire 1 Micro-USB to USB A type cable. 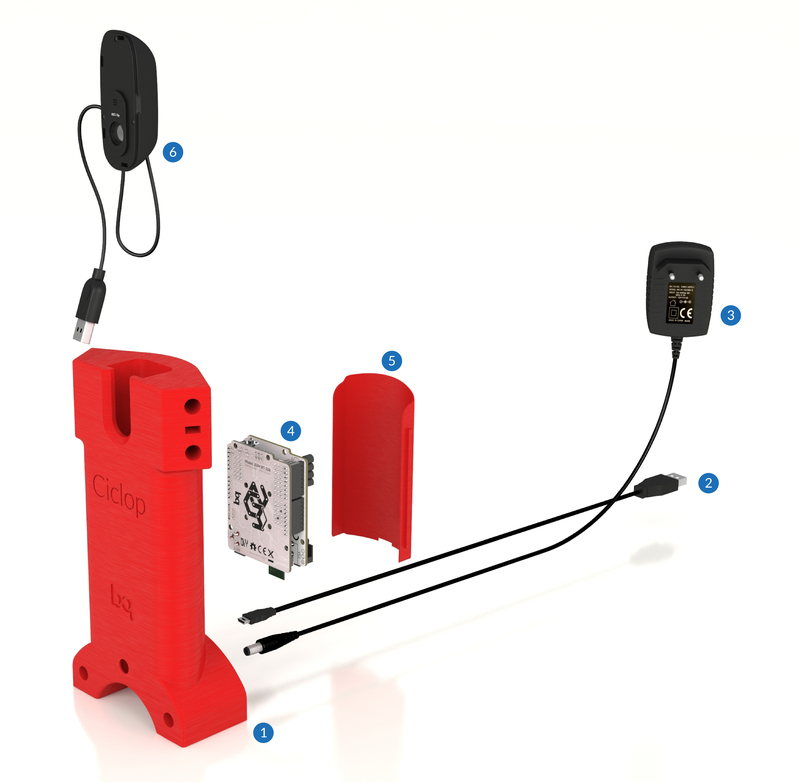 It is used for communication with the electronics, although the communication via Bluetooth is also possible. 4 Electronics 1 Controller board (ZUM-BT328) and power shield (ZUM SCAN). It runs the firmware that controls the stepper and lasers. 6 USB camera 1 Logitech C270 webcam. It fits at the top. The USB cable is hidden inside the structure. 4 Motor wireway 1 Printable part that covers the motor wires. It is fitted onto the M8 x 292 rod. 7 Laser wiring duct 2 Printable part that covers the laser wires. It is fitted onto the M8 x 170 rods. This kit also includes four rubber feet so that the device adheres more firmly to the surface it stands on. It also helps to reduce noise during scanning. Once the scanner is assembled, check that the lasers are adjusted to emit a vertical light beam. However, this is not essential as their inclination will be determined during the calibration process. At the end, the nuts and bolts must be well tightened to ensure that the final result is a rigid body with one degree of freedom, which means that no parts should be moving other than the disc. This scanner has been developed with Autodesk InventorTM, which is a proprietary software. 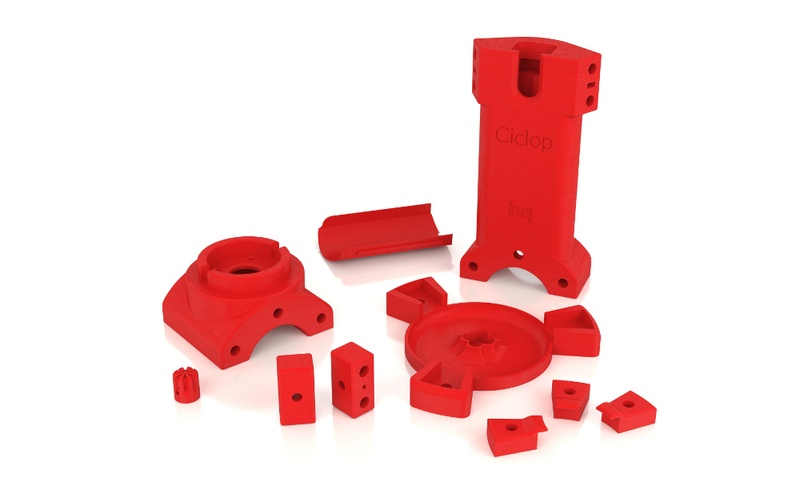 We plan to migrate the design and components of Ciclop to FreeCAD3. All this work will be published on the GitHub repository. 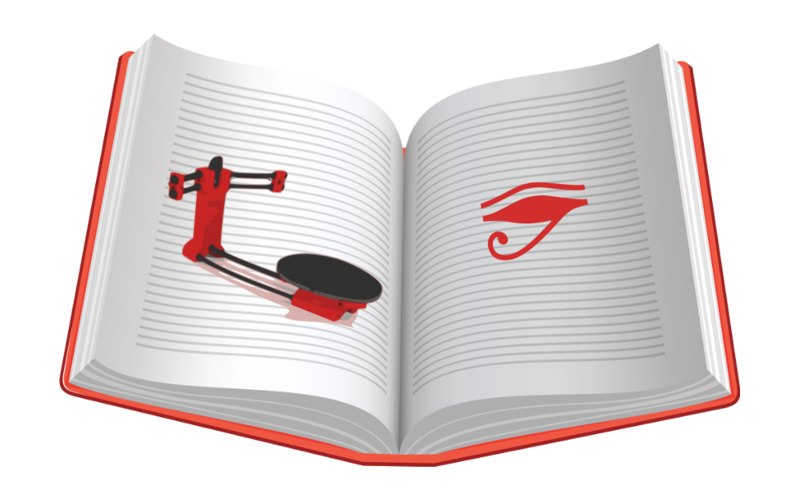 We encourage you to contribute to the development of this project with FreeCAD, as well as the improving, adaptating and evolving the design of the scanner parts. it´s nice to make it yourself. i try to do, and tell more when finish. Where do you get the lasers, the ZUM SCAN shield and the turntable disc with anti-slip cover from? These parts are currently the only thing holding me back from making one. Is it possible to purchase the ZUM SCAN shield? 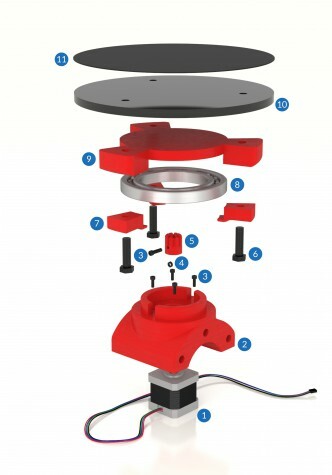 Can you provide more details on the specifications for the “Ball bearing 16014″. I have searched and found lots of options and lots of similar items. Specifically, what is the inner diameter, the outer diameter, and the width/height needed for this part? 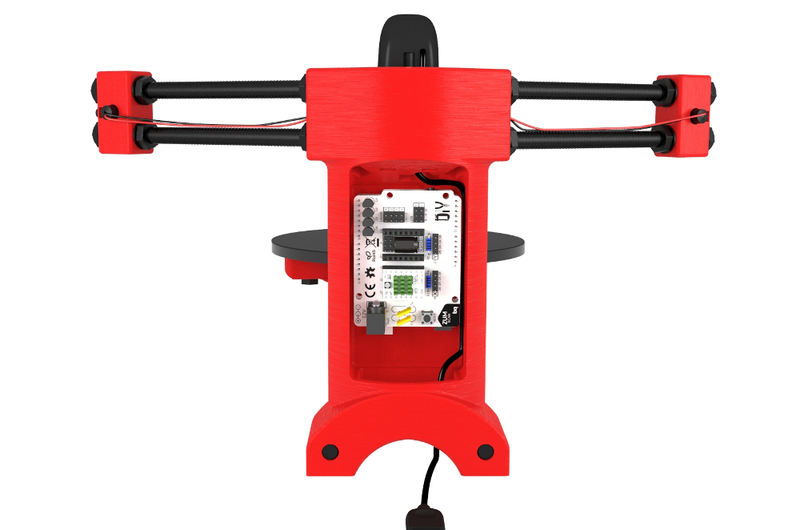 Pingback: Open Source 3D Scanner #3DThursday #3DPrinting « Adafruit Industries – Makers, hackers, artists, designers and engineers! 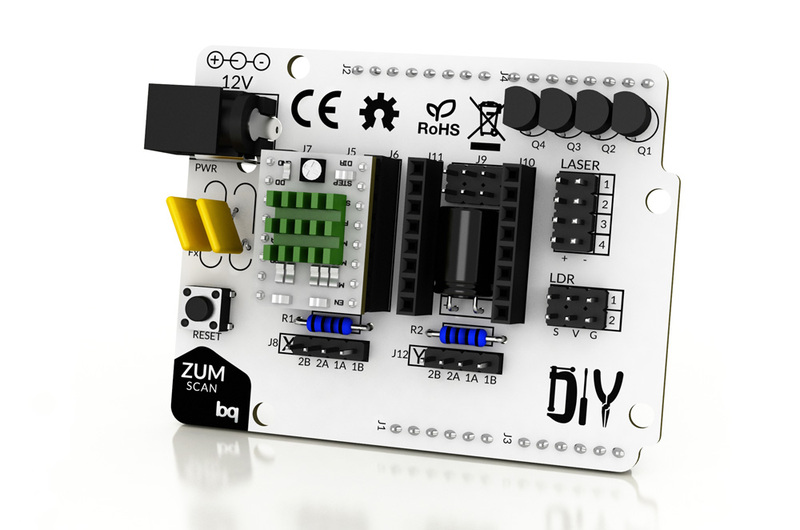 where to buy ZUM SCAN pcb??? i’m very interessed!!! Where I can purchase the ZUM SCAN shield? very nice! I came to this page by chance looking for a gift for my bf birthday, and this is actually it! Some of parts seems printable, but where can i get the rest of it? If there is a purchasable kit, I am definitely and URGENTLY interested! I like to use the Arduino Uno & GRBL Shield. But, I do not know the connection method. I will attend at the 3D Printshow in Berlin at the 27th March and saw that bq is an exihibitor. Are you planning to sell some Ciclop DIY kits there? Are you in Berlin too? Yes! We’ll be there and also our kits will be available in Germany. 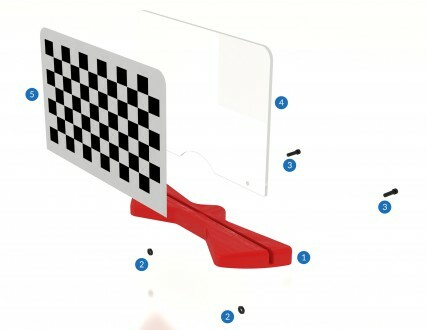 I note that the questions regarding the ordering of the Zum Scan scan shield have remained unanswered. This information would be most gratefully received. Btw, for now we won’t sell ZUM SCAN shield separately. Today being the 28th of March, may I ask where I can order that kit you talk about? Where can I buy the 650 nm Class 1 line laser with connector, is there any link ? Is it an adjustable focus? How I use a 5mw 650 nm red line laser instead of that? We sell full kit here: http://www.bq.com/gb/products/ciclop.html. Soon worldwide. PD: Our lasers have fixed focus. You can use powerful lasers but you need to get care about your eyes! I tried to buy one, but couldn’t select “Germany” when trying to create an account/enter the billing address. I forward your message to sales. I would like to thank you for the brilliant Horis software and to share all this project under this kind of licence. On my blog, I’ve fully redesign the CICLOP to be compatible with Freelss and with other future project. I would like to know if you plan to make horus compatible with other webcam/drivers ? And if you are working on better camera definition for the scanning ? 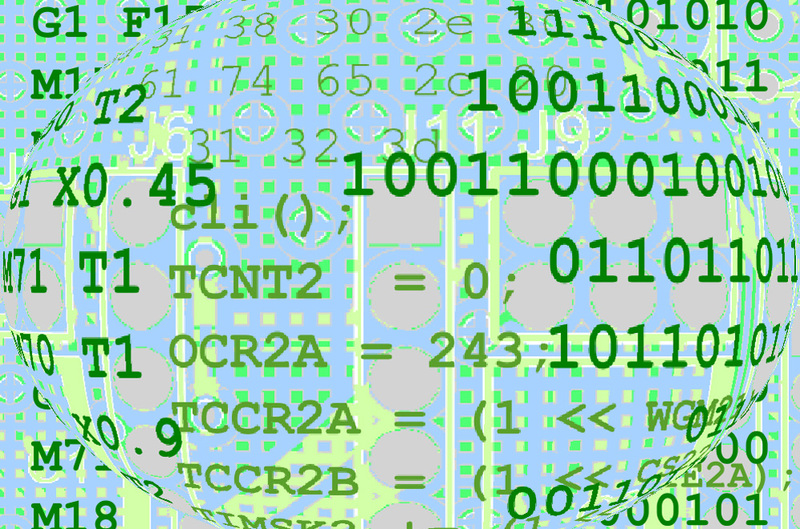 Horus uses OpenCV. Therefore, you can use any OpenCV’s compatible camera. We are testing also other cameras with different features: more fps, resolution, etc. Also, because it is an open source project, anyone can adapt Horus to its camera and make evolutions and improvements. For calibration pattern, can I just print out chessboard on paper and paste it on pattern-surface? Yes! You can print the chessboard pattern and paste it with scale 1:1. Then you need to measure the pattern distance and introduce it into Horus. More information here: https://static-bqreaders.s3.amazonaws.com/file/ciclop/Horus_User_manual_EN.pdf. What to use the print settings when printing parts of the scanner? 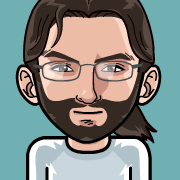 Hi, we have uploaded our production files here: https://github.com/bq/ciclop/wiki/Documentation#production, but I think it is more interesting to answer people in the community. 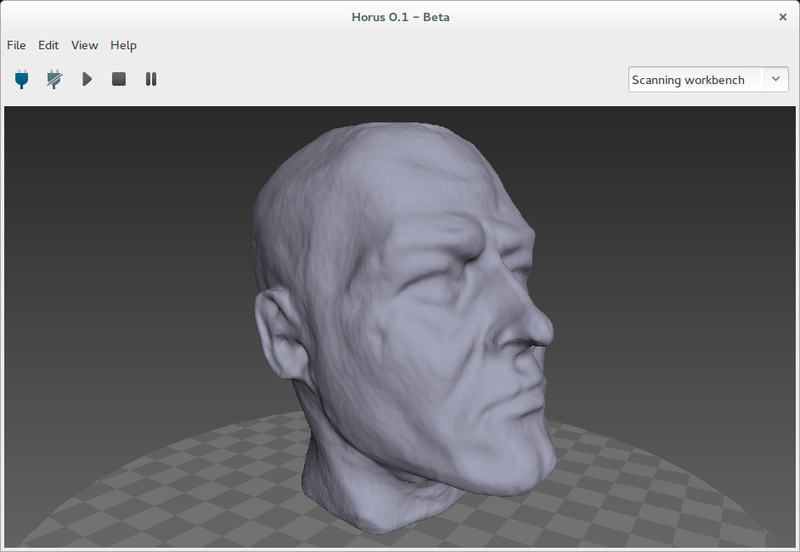 Please write our group for that, or another questions: https://groups.google.com/forum/?hl=en#!forum/ciclop-3d-scanner. I bought the kit here in the US from a Belgium dealer. Charlies 3d I think is the name. Better price than any other I could find , Fast delivery too 3 days!